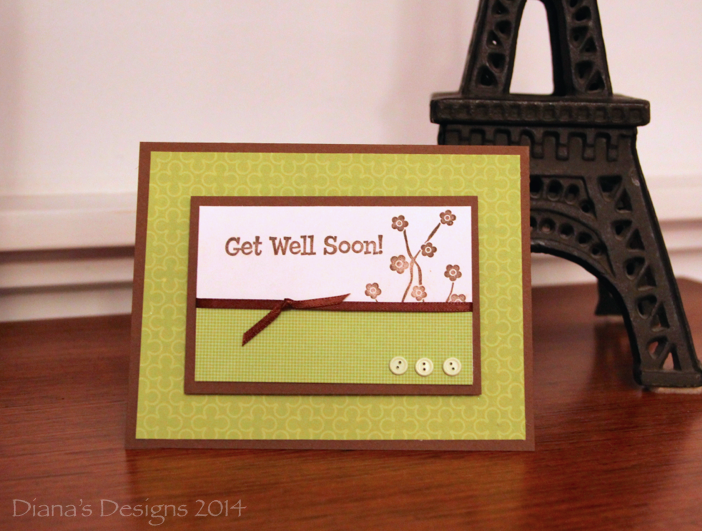 This week, I share a simple handmade Get Well Soon card I made several months ago. I chose a olive green and chocolate brown colour theme. (I must have had cravings at the time.) This was the first time I used my Stampin' Up! floral stamp and I really like how it turned out. Speaking of Stampin' Up!, I am giving away a Project Life Scrapbooking Kit valued at $100 to one of my Canadian readers. It's jammed packed with all sorts of goodies! Great card, I love the layout!!! I like the layout, too! Very nice Card. I am sure this card would put a smile in anyone's face. Beautiful! Homemade cards are the best! lovely card! I'm sure the recipient was very happy to get it! Such a beautiful card. I always admire all the work that goes into these. Very nice card! I just added your button to my blog post. :) Have a great WW! 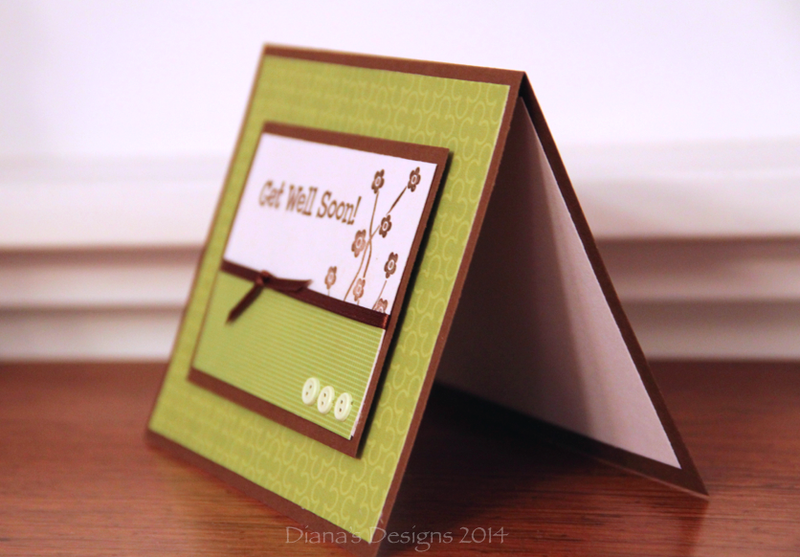 I have been pinning cards again on pinterest...I really need to get back into card making...you're inspiring Dianna! Aw, shucks! Be sure to tag me when you've posted one of your cards. Would love to see them! Gorgeous cards! I made planner dividers in the same type of paper. very talented lady! Love the card!!! Such a beautiful card. I'd love to receive it if I was sick. Love the cards, it looks great! That's really nice! You must teach your kids the best crafts.